"ONE-OF-MANY" ! What a conceit. Assuming multiple personalities maybe. This "ONE" wants to be the voice of the many, of the mob. But it is an outright deceit. Some people are blatant fearmongers. They fear much, are suspicious by nature, and then hide their fearfulness behind a nom-de-plume. Do some people simply love war and enmity? Hugh WERTHEIM's letter is below and is signed with his clear moniker. Rudolph Robert Carl WACHSMUTH von FREDERHAUSEN was born in 1845 at Göttingen, Hannover, in the progressive Kingdom of Hannover, at least fifteen years before the Unification of Deutschland. At agefifteen he became a 'Bremer Wasserschout' a Water Scout at Bremerhaven. On the 25th November 1861 at age sixteen, he departed Bremerhaven, Hannover, as a member of the Crew of the ship 'PHOENIX' bound for Hanava, Kuba. He spent the next decade on the world's oceans, and became a Mariner by profession. He came to shore in Melbourne, Port Phillip Bay. He married his first wife, Dublin-born Alice Henrietta THOMPSON, in 1871 in Victoria, Australia. Their children were Rudolph Heinrich August von Wachsmuth -born 1872 on the Loddon Goldfields at Castlemaine, Victoria; Herbert von Wachsmuth born 1874 on the Loddon Goldfields; Francesca von Wachsmuth born 1875 in Melbourne at Footscray, and Percival von Wachsmuth, born 1877 at Sandridge, Port Melbourne. His first wife died in unknown circumstances. He went into business as a mercantile dealer. He was re-married in Sydney, New South Wales in 1893 to Eliza Jane REES, daughter of David REES & Anna Catherine OLIVER. However, the Frederhausen von WACHSMUTHs did not stay long in Sydney, as their first child, Albert George von Wachsmuth was born in 1888 in Port Melbourne, Victoria, before the family moved south to Tasmania. Their children born in Tasmania were: Liebling Clara von Wachsmuth, 6th Feb 1894 Launceston, and Grace Katherina Von Wachsmuth, born 7th Sept 1895 in Launceston. Back in Melbourne, Una von Wachsmuth was born at South Yarra in the year 1900. 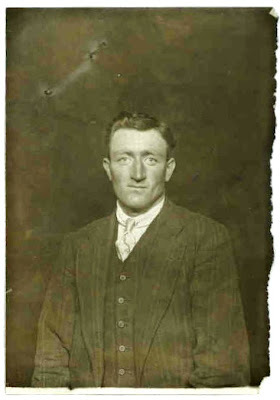 In 1909 he was in business as an Importer while living at No.341 Brunswick St, North Fitzroy. Rudolph Robert Frederhausen Von WACHSMUTH died at North Carlton, Melbourne during the time of human catastrophe continuing in Europe in 1918 at age 73. Eliza Jane Rees Frederhausen von Wachsmith survived him to die on North Carlton in 1937 at the age of 73 years. Alfred Waldemar WACKWITZ was born 21st May 1865 at Mögen, Sachsen (Saxony). He emigrated on the vessel 'S.S. ESSEN' arriving in Sydney, N.S.W. in May 1891. He spent a year and half in Sydney before immigrating south to Melbourne. Wachwitz was just a year and half in Melbourne in which time he was married to Annie ANDERSON in 1892 and also saw the birth of his eldest son, Rudolph Franz or Frank Wackwitz, who was born in Balwyn, Boroondara, Melbourne in 1892. His wife Annie was born in 1859 at Branxholme in the Portland district of Western Victoria, the daughter of Scottish settlers, John Anderson & Ann Frazer. After Melborune, the Wackwitz family moved north into the Riverina of NSW and settled on the treeless plains in the Irrigation District of Hay, where Wackwitz became a town baker. Another son, John A Wackwitz, born 1896, and, in 1898, their twin daughters, Anna Grace Wackwitz & Hulda Anna Wackwitz, were born in Hay. After thirteen years in Australia, and ten years in Hay, Alfred Waldemar Wackwitz took the Oath of his Alien's Memorial on the 4th August 1905 at Hay, New South Wales. Alfred Waldemar died at age 75 in Summer Hill, Ashfield, Sydney, in 1938. His wife predeceased him, dying in Marrickville in 1935. Franz Ottoman WAGNER - from Saxony, married Mathilde Dorothea Attilia UHE 1893 Vic. Friedrich WAINHOLD - from Hannover, married Catherine Edwards 1892 Vic. Bernhardt WALK b.2 Sept 1870 at Gross Kissendorf, Bayern, Bavaria - the son of Damien WALK & Johanne WOLF. Walk emigrated out of Deutschland via the steamer "S.S. KARLSRUHE" arriving at the Port of Melbourne on the 20th August 1899. After fifteen years in Australi, when he took the oath of his Alien's Memorial for his Maturalization on the 10th August 1914 he decribed himself as an Ornamenter, living at No.115 Victoria Parade, Fitzroy, Melbourne. Bernhard Walk was married in Victoria, Australian in 1920 to Amy FISCHER. Occupation: Ornamenter. Melbourne Deutscher Krankenverein 1923-1941 Bernhard Walk died in 1843 in St Kilda ages 66. His wife Amy Fischer Walk survived him, dying in Elwood in 1963 at the age of 76. Karl Boromaus WALK - brother of the above - b.about 1878 Gross Kissendorf, Bayern, Bavaria - the son of Damien WALK & Johanne WOLF. His Alien's Application for Naturalization of 1924 was held open until 1941. He married in Victoria, Australia in 1928 to Grace Harriet PARKER, who was born in 1881 on the Ballarat Road at Gordon, the daughter of Henry Parker & Harriet Brown. She predeceased him, dying in 1958 in St Kilda aged 77 years. Carl Boromaus Walk died in 1963 at St Kilda, aged 84 years. Adolph Bernhardt WALKEMEYER was born on the 8th September 1869 in the Hanseatic Duchy of Braunschweig-Lüneburg (Brunswick), Deutschland. He was a Master baker and Pastrycook by profession. Walkemeyer arrived in Australia on the 13th January 1893 on the ship "S.S.BARMEN" at the Port of Adelaide, South Australia. In the intervening period Walkemeyer had lived after four weeks in Adelaide, for two years in Melbourne, and then ten years in Perth, and then a year and half in Fremantle. At age 39, after thirteen and a half years in Australia, Walkemeyer submitted an Aliens Memorial for Naturalisation from No. 50 Mandurah Road, Fremantle, Western Australia on the 8th August 1906, attested to by George Saurmann, Justice of the Peace in Fremantle. Walkemeyer was married in 1898 in Perth, Western Australia, and by 1906 they had three children. His wife was Therese Magdalene SCHNEFUHS (or Snowfoot) and she was also Naturalised with him in 1906 in Fremantle. She had arrived in Australia with her whole family on 20th February 1883 on the ship "S.S.PROCIDA" at the Port of Melbourne, Victoria and had lived the next 12 years in Melbourne before moving to Western Australia. She was born in Schwerin, in the Duchy or Dukedom of Mecklenburg-Schwerin on the 19th April 1874, and emigrated afterwards as a child with her family. Friedrich WÄLSCH b. 1863 Magdeburgfurth, Sachsen - son of above. Departed Hamburg om 11 May 1879 per "SOPHIE" Arrived Adelaide 22 August 1879,@ age 16 Kind. Heinrich 'Henry' WALTER/WALTERS - born Stettin, Prüssia, married Susan BATH 1889 Vic. Ehrenfried Reinholdt WARTHOLD - was born on the 27th May 1884 at Breslau, Silesia, Deutschland. Warthold emigrated out of the Deutsch Reich by way of the life of the sea, and found interim refuge in teh U.S.A. for four years and then in Great Britain for two years, from which country he embarked at the Port of London with passage on the Australian-route vessel 'WILCANIA" to arrive in Australia at the Port of Adelaide on the 11th November 1911. He was registered as an Enemy Aliens No 15 in North Adelaide. After 11 years in Australia, married to Lavinia Rose Warthold and they had five children when, at the age of 38, he took the Oath to be Naturalised in his Aliens Memorial of the 6th April 1922 when residing at No.19 Murray Street, Adelaide,and working as a Gardener. Otto Anton Waschatz was artisan and inventive woodcarver from Dresden, Saxony. He first arrived in Australia via the Port of Adelaide in January 1877, and subsequently first made an 'Aliens Memorial' for Naturalisation as a British citizen there, through the agency of the then well-known German-Australian leader Mr P. F. Basedahl, on 21st April 1882. Waschatz was then a carver, aged 27 and had been in South Australia for five years. He married Ruth Effie Romforth during the 1880s and they produced four Australian daughters, each named with hybrid inspiration: Ophelia Esalda 1889, Eona Sadie 1892, Lalia 1897, and Melvard Flora 1899 born in Richmond, Victoria. From about then we find Waschatz's second Alien's memorial, dated 1896, but in the State of Victoria. Neither Naturalisation, it seems could be produced by him when the Alien Act came into force in 1914, by which time he was living and working in Richmond, Victoria. By then Waschatz had long been in business making original carved plaster building mouldings at Lottoid Proprietory Limited - Fibrous Plaster and Lottoid Works at 119 - 123 Hoddle Street, Richmond, so Waschatz's is the artist and craftsman with a Dresden formation in a good part responsible for the many creative plaster ceilings of the Edwardian houses of Melbourne. In 1899-1900 he took out Australian patents on one of his carving creations for 'Improvements in coffins or receptacles for the dead.' He was commissioned by the City of Bendigo to do the fancy plasterwork on the Bendigo Town Hall, originally designed by the German-Australian architect, Wilhelm Vahland, when it was remodelled between 1878 and 1886. In 1915 Waschatz was suspected of being an Enemy Alien, and a Spy, and then accused by members of the Australian public of signalling to German submarines lurking in the Western Port or Port Phillip Bays from his establishment or, at least the one to which he and friends sought refuge from the city, and called the 'German Club,' up on the hill above Belgrave, in the Dandenong Ranges. If you look closely at the stark unsympathetic mug-shot of him above you will see the pin slot and two holes in the top left hand background where it was needled onto the papers from O. A. Waschatz's official Enemy Alien and Suspect MP16 file. Waschatz, was, of course, investigated, but found to be in no way implicated or guilty in transactions with, and neither lights of mirrors were found capable of making signals to the distant, yet maybe lurking, hidden 'German Enemy.' This did not stop local vigilantes and hoods from terrorising, stone-throwing, smashing windows, and finally, burning down the Waschatz's and friends 'club' premises by the Sherbrooke Forest, in Terry's Avenue, Belgrave. In Richmond, after the war, Waschatz took out patents for some of his originals, such as an 'Improved method of and apparatus for manufacturing plaster building sheets (1927). On of his legacies is in the value placed on many heritage houses featuring plaster mouldings in Melbourne, though I have never seen any such in Belgrave. - Otto Anton Waschatz died at age 80 in Richmond, Melbourne in 1935. Richard August WEBB - from Hamburg, married Eliza Amelia GRACE 1892 Vic. 'James' Jakob WEDELES - from Hamburg, married Jeane Emma DARLING 1890 Vic. 1. Julius Bernhardt Reinhold WEGENER was born in the the heart of the Deutsch Reich, in its Kapital, Berlin on the 27th February 1879, in an Empire not yet nine years old. At about age nine he emigrated with his family from Berlin out of Hamburgh on the ship - Seemily named for a Austrian-Prussian reconciliation - the "S.S.HAPSBURG" arriving in the Port of Melbourne, Victoria in November 1888. As a young man he left Melbourne for work in South Africa where he was married at Pietermaritzburg, KwaZulu-Natal, South Africa to Sophia Johanne Dorothea UPPINK on the 4th July 1903. The Bernhardt WEGENER family, with his wife Sophia and their South-African born first child Leslie Eric Wegener (1905) came back to Melbourne on the ship "FORTUNATUS" in May 1906. In his subsequent Naturalisation Document, Bernhardt Wegener includes the following MEMO, which sheds light both on his activities in South Africa, and it also displays something of his Mentality in respect to his pro-British stance. TO WHOM IT MAY CONCERN : - I went over to Africa before the Boer War and was employed as shunter on the Natal Government Railways in Ladysmith. I went through the siege, and was attached to General George White's staff as despatch rider, for which I hold Queen Victoria's War Medal. - B. Wegener, 11 Kelso street, Richmond. The Bernhard Wegener family subsequently produced four more Australian-born children in Melbourne. After 29 years out of Deutschland, in Australia and South Africa, at age 35, Wegener took the Oath for his Aliens Memorial for Naturalisation while living at 11 Kelso Street, Richmond, Victoria, from where he worked as a Brass-founder or Brass-finisher, on the brink of war on the 6th August 1914. Dierich WEHLOND - from Hannover, married Bertha TAPPE 1894 Vic. Carl Hermann Julius WEHNER was born about 1854 at Fröhlichsdorf, Provinz Liegnitz, Schlesien, Prüßen (Silesia, Prussia). Fröhlichsdorf, is now Cieszów, in the west of the Republik of Poland. Wehner emigrated out of the Deutsch Reich on the ship ELASSIA to arrive in Australia at the Port of Melbourne on the 14th September 1884. He was married to Agnes SCOULLER in 1894 in Victoria. After eight years and two months in Australia, at the age of thirty, he was working as a Blacksmith at Orbost, East Gippsland, when he swore the Oath to be Naturalised inhis Alien's Memorial of the 15th November 1892 at Orbost, Vic. Oswald WEINHOLD - born Karpersdorf, Prüssia, married Ida PLEWA 1889 Vic. Bruno WEISS - from Silesia, Prussia. Married Margaret GUINAN 1895 Victoria. Gustav Adolph WEITZ was born on the 27th February 1863 at Eisenach, in the Grand Duchy of Saxe-Weimar-Eisenach, Deutschland. Eisenach is now with the Thuringen State in Eastern Germany. Gustav Adolph WEITZ emigrated out of the Deutsch Reich by way of the interim hub of refuge in Amerika and there embarked from the Port of New York, New York on the Glasgow ship 'DUMPHREESHIRE' to arrive in Australia at the Port of Melbourne on the 29th Dezember 1899. On disembarking Weitz resided for two years in Victoria, then he immigrated north to New south wales for five years. In about 1906 he went from NSW to Queensland for a year and then turned back south and went to South Australia. After eleven and a half years in Australia at age of 48 Weitz was still an unmarried man, and then living at the Salvation Army Home, in Whitemore Square, Broton, Adelaide, South Australia, when he took the Oath of his Alien's Memorial for Naturalisation on the 7th August 1911. Weitz was a boot and shoemaker by profession. After the 'Not So' Great War, Weitz aksed to be de-Naturalised and his Oath was revoked on the 17th September 1919, and for some reason was deported, yet when he returned to his native Weimar around the times of the Weimar Republic he found himself there treated as an foreign and enemy alien in his place of birth, and was described as 'an unfortunate individual' who was 'unable to regain his citizenship rights in his native land.' Weitz wrote from No 39 Amalion Strasse, Weimar to the Australia High Commission in London seeking to regularize his German Nationality and received an answer of 26th July 1926 saying that he was no linger a British Citizen, but if he thought his native land was going to transform itself out of the torrent of martial purpose which it had nurture he obviously had more of the romance of ideology than any real perception of the coming reality to his political outlook. I am not yet sure what became of Herr Weitz. Eugen Philipp Johann WELLER- from Stuttgart, W, married Agnes Landy 1898 Vic. Heinrich 'Henry' WENDELL - from Hamburg, married Ann MORRISON 1890 Vic. Carl Adolph WENDT - born Holstein, married Elisabeth Faurgeirve MEIN 1900 Vic. Pastor Maximilian Leopold WENTZEL, son of Georg Richard Wentzel – born 21 Dezember 1883, Liebenwerda, Sachsen (Saxony). To Australia. Teacher at Emu Downs, South Australia. The first Graduate of the Murtoa Seminary 1894. Served Dimboola 1894-1921. Then went to Brazil where he served till his death on the 30 March 1940. At age 21, Leopold Wenzel was married on the14 January 1892 at the Langmeil Lutheran Church, Tanunda SA to the 23-year-old Elise Wilhelmine Dorothea ‘Elsie’ GEYER, daughter of August Christian Friedrich Geyer & Elise Charlotte Wilhelmine nee MILDE GEYER. Their children: twins 1. Charlotte Frieda Wentzel & 2. Dorothea Elise Wentzel born 18th November 1892 at Emu Downs, South Australia; 3. Hildegaard WENTZEL born 1897 Dimboola, Vic. ; 4. Irmgaard WENTZEL born 1903 Dimboola Vic., and 5. Hiltrude WENTZEL, born 1905 Dimboola, Victoria. Elise Wilhelmine Dorothea WENTZEL died at age 50 in 1919 at Dimboola, Victoria. Pastor Max Leopold Wentzel was remarried in 1920 in the Wimmera of Victoria to Hedwig Ernstine Elisabeth LEHMANN. Friedrich Wilhelm WERCHOW - born Prüssia, married Mildred HEATH 1896 Vic. At the age of 27 years, after five years and seven months in Victoria, he took the Oath to be Naturalised in his Aliens Memorial of the 11th May 1881 at Melbourne. He then described himself as a Merchant. Sir,-My name and the names of some members of my family have been prominently before, the public for some little time past, and more recently before the members of he Chamber of Manufactures, as reported in your issues of this week. Untrue and unfair statements have been made about us. Will you grant me permission to shortly state the facts, so that the public may be aware of them. My friends who know me do not need this. I am not a German subject, nor do I owe any allegiance or duty to Germany. Some years ago (about 30) I applied to the German Government to renounce my German citizenship, and not to be regarded any further as a German subject. This application was granted by the German Government, and I hold a document under seal from the German Government to this effect. I enclose a translation of the same for your perusal and information. At the same time I applied to and became naturalised as a British subject, and I have resided and carried on business here ever since. My children wore born, brought up, and educated in Australia, and my eldest son was sent to America (not Germany) to finish his technical education. These facts I think speak for themselves. I am both in fact and in heart a Britisher, and so are all my family. Mr. Lawrence, at a meeting of the Chamber of Manufactures, said that I employed a large number of Germans in my piano factory, and that I imported a large portion of the work required for the manufacture of such pianos from Germany. Neither of these statements is correct. I do not import German pianos, but I manufacture my pianos in Australia, and brand them as "Australian-made pianos." When I invested in large capital and started my factory, which identified us still closer with Australia, I applied to the Federal Government for permission to bring out under contract 12 men with technical experience in piano manufacture from Germany. This was granted to me, but I only brought out nine; the rest of some 150 employees were and have been engaged locally. I only import a very small percentage of the material required for the manufacture of each instrument, and this only because it cannot be made or obtained here, and the rest of the work is carried out and completed entirely in Melbourne. In view of the foregoing facts am I to be branded as a German sympathiser and German subject and not it Britisher, and not to be trusted? I submit, with every respect, that to do so is to treat both me and my family unfairly. Though I may have been born in Germany. I feel with horror and indignation, the terrible violation of the rules of civilised warfare and humanity. It was only when this war commenced that my loyalty to the British Crown was ever questioned, and that I have been accused of sympathising with Germany and the course which Germany is adopting. I should have thought that my record in this community for the past 40 years would have rendered this disclaimer quite unnecessary on my part, but in making it I do so only in the spirit of placing those dear to me and myself right before our fellow citizens. Would it be suggested for one moment that any English merchant who imported German pianos or any other goods from Germany before the war was disloyal to the British Crown, and sympathised with Germany on account of his having done so? Surely not, anti why should this stigma be attached to me, after I have formally renounced my German citizenship and make my goods here. My son originally became a member of the council of the Chamber of Manufactures at the request of several of its members, and his recent renominalion was made at a general meeting of the chamber, without a single dissent. He is now travelling through England, Canada, and the United States, endeavouring to make arrangements to import the verv small percentage of parts which we originally obtained from Germany, to complete the manufacture of our pianos. British fair play and justice are proverbial to any honest men, and to any one who conducts himself loyally and fairly. I submit that I have done this, and that, in addition, I am a British subject, and that the only thing that can be urged against me is that I happen to have been born in Germany. I desire to thank the executive of the Chamber of Manufactures for their generous disclaimer of the accusations which have been made against us. Note: More recently, I made the interesting discovery that one great grandson of Hugo Wertheim is well-known to us in Australia, and especially in Victoria, being a former Premier. He goes by the name of Jeff Kennett. Carl Johann Arvid WESTERBERG, b. Sunswald, Schweden > Geelong, Vic. Pastor Hermann Wilhelm WESTERMANN Lutheran Clergyman, Sth Aust & Victoria. Pastor Hermann Wilhelm WESTERMANN Born 30 October 1883 Bispingen, Hannover. Graduated Woehling’s Seminary, Ülzen, Deutschland 1908. To South Australia. Assisted at Eudunda, SA and at Hochkirch, VIC. 1908-1910. Black Hill 1910-1922. Married Mathilde Magdalene SCHROEDER. Their children were: Friedrich Wilhelm Westermann – born 1909 Hamilton, Vic; Helene Westermann & Johannes Westermann – born 1910 Hamilton, Victoria. Hermann Wilhelm WESTERMANN died on 10 November 1935 at Seacliff, Adelaide SA. His wife Matilda Magdalene Westermann survived him to die on the 19th October 1947 aat age 69 at Myrtle Bank, North Unley, Adelaide, SA. Wilhelm Friedrich WETTENGEL born 5tH May 1898 Berlin Arr. from Gelsenkrichen, Westphalen, per 'CASSELL' on 17th May 1913 at Port Brisbane QLD Naturalised 1914-1964 + File 1934/1945. Gustav Ernst WETTIG was born on the 12th May 1864 at Meuselwitz, Sachsen (Saxony) Prospector and Miner , Perth, WA - arrived in the Antipodes from Hamburgh per Sailing ship SAMARA at Dunedin, New Zealand. > 3 years in NZ > Fiji, 3 yrs > Western Australia 17 years - Nat. 11 Mar 1912. - A 'Carl' or Charles WETTIG died in the East Coolgardie district in 1945. Hermann WETTIG - born Schwarza, Schwarza-am-Saale, Kreis Schmalkalden-Meiningen, Thuringen, Prussia / Agricultural Labourer, Arrived in Australia at the Port of Adelaide, South Australia in early October 1884. Hans Johannes Robert Clemenz WETZIG, son of Celems WETZIG of Sachsen, was born on the 5th July 1880 at Breslau, Silesia in Deutsch Reich. Wetzig emigrated out of the Deutsch Reich via the Port of Bremen on the ship 'GROSSER KERFUERST' to arrive in Australia at the Port of Fremantle on the 1st February 1908. On disembarking Wetzig went out to Country Peak, and then to Kunjin, Western Australia, where he became a Farmer. Hans Robert Clemens Wetzig died in Perth, Western Australia in 1930. Christian WEISSER - born Baden, married Mathilde ZERBE 1889 Vic. -Friedrich Heinrich WICKE born Waldeck, Waldeck-Frankenberg, Hessen-Kassel, Germany, . Arr. on the Steamship 'ARON CASLE' on 10th April 1876 at Port Adelaide, South Australia. After disembarke Wick reside in Adelaide for ten years, before moving to the Upper Murray River town of Albury, New South Wales for two years. Wicke was married to Charlotte MOSELEY in Victora in 1899, - By then he had moved to the east of Melbourne foothills, to set up as an orchardist in the settlement of Hustbridge where he had been for 33 years by 1922. Orchardist, Hursts-Bridge, Victoria. Pastor Claudius Andreas WIEBUSCH – born 14 Juli 1874 Hannover, DE. To USA. Graduated Concordia Semianry, St Louis, USA 1901. to South Australia. Koonibba Mission, Eyre Penisula 1901-1906. Gawler 1916-1933. A Son: Waldemar Claudius WIEBUSCH died 27 Feb 1916 Denial Bay @ 1yr 11 mnths. Dau. Bertha Clara Louise WIEBUSCH died 15 May 1936 Brighton Adelaide. SA @ 18 yr. Wiebusch was president of the SA district 1923-1933. Chairman of College Board. Married Louise STREICH. Claude Andreas WIEBUSCH Died on the 11th January 1933 at Port Noarlunga, SA, by accidental drowning. Johann Friedrich WIECKMANN - from Berlin, married Gerte Dagmar Barnard 1896 Vic. Joseph Franz WIEDERMANN was born on the 12th December 1861 at Zobten, Kries Schwiednitz, Provinz Breslau, Schlesien, (Silesia, Prussia). Wiedermann Emigrated out of the Deutsch Reich with his family on the vessel 'TREVYLIAN' arrriving at the Port of Adelaide, South Australia on the 13th October 1875. On disembarking Wiedereman stayed near Adelaide for about two years and then removed with his family to farms in the Wimmera of Victoria. Took the Oath for his Aliens Memorial for Naturalisation on the 21st March 1914 Age 52 farmer, Jeparit, Vic 29 years in Australia. Helmuth Christian Wilhelm Bernhardt WIEGERT, son of Georg Wiegert, was born on the 29th Febraur 1880 at Neukalen, near Malchin, in the Grand Duchy of Mecklenburg-Schwerin, Deutschland. He arrived in Australia at the Port of Melbourne on the 23rd January 1913 having emigrated from Deutschland on the steamship "ROSTOCK.' On embarkation Weigert went out east of Melbourne to the Croydon Bayswater district for six months, and then in Nunawading-Box Hill area for six years. He was Registered as an Alien at Box Hill. No.5/16. 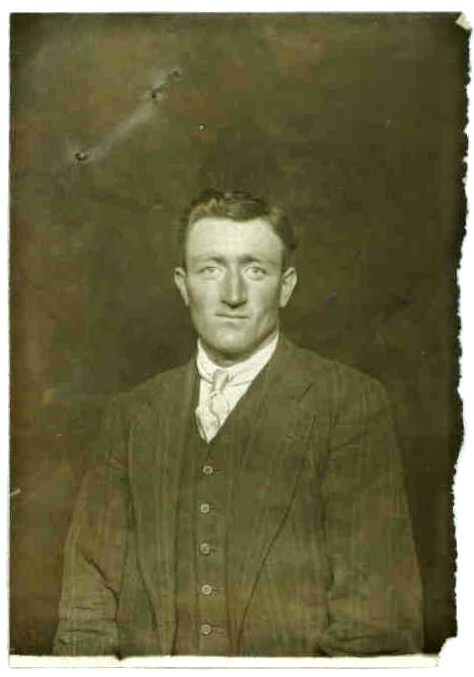 Wiegert was working as a Labourer for Mr. Adolphe Meier of Bylands, nr Kilmore, Victoria, when he took the Oath for his Aliens Memorial for Naturalisation on the 12th October 1925. Max Maximilian WIEHERT, Kolberg, Prussia, to Korumburra, Gippsland. Pastor H. WIESE – born 16 May 1842 at Nehrum, Hannover DE. Trained at Hermmansburg Free Church Seminary, Ülzen, Deutschland 1868-1875. to Australia. Assistant at Blumberg SA 1875-1876; Gerogery 1876-1900. Ni-Ni Well, Victoria, 1900-1912. Winiam & Kiata QLD 1912-1918. Married Catherine RIPPE. Died. 17th January 1929 Queensland. Alexander Ernst WIESETHAL - from Berlin, married Helene Margarette Eugel 1889 Vic. ilhelm August WILM was born 7th May 1872 at Kolberg, Pommern (Pomerania), Prussia, Deutschland (now Kołobrzeg, North-western Poland). He emigrated out of Deutschland to the United States of Amerika, but left there via New York on the ship "ENSINADA" arriving at the Port of Melbourne in the month of May 1889. He was Naturalised out from his Alien status after 16 years in Australia on the 1st November 1905 when living at 3 Church Street, Sandridge, Port Melbourne, where he was working as a Labouring Stevedore. His Official Oath was attested to by the very eminent Mayor of Port Melbourne, William Howe, Justice of the Peace. Wilm was then married, but had no children. August WILMS was a Tischlermeister, a Master Cabinet-Maker. He was born in the Grand Duchy Of Mecklenburg-Schwerin, Deutschland in about 1854. He emigrated to Australia on the "ACONCAGUA" a ship of the Orient Line out of London, England, arriving in Melbourne on the 13th December 1878. In the interim period he had made a visit to South Africa. On the 4th May 1899 when he Swore the Oath for his Aliens memorial for Naturalisation he was aged 45 years, said to be 'a carpenter,' and living c/- an address at the Corner of Cook & Nelson Streets, Abbotsford, Melbourne. Georg Emil Eugen WINCKELMANN - from Berlin, married Hermine Johanne Rebecca Schneider 1898 Vic. Adolphus Friedrich Christoph Heinrich Leberecht WITTHOLZ was born on 24 November 1848 in the Grand Duchy of Mecklenburg-Strelitz. His father Ferdinand David Julius Wittholz was an Erbyächter, which, though unsure, I suspect is a Small-Boatman. Ferdinand was born at Peckatel, Mecklenburg, but Adolph F.C.H.L. was born in his mother Adolphine Stegmann's home town of Torwitz, Mecklenburg, on the Ziercker See, one of many lakes of that district, to the north of Berlin. When he was a young man, and the eldest of eight children, there came German Unification and with it, Mandatory Military Conscription, but soon, Adolph Friedrich emigrated to Australia, via England, arriving in the Port of Melbourne in July 1874 on the ship "GREAT BRITIAN" at age 25. He settled in south-Eastern Victoria, and worked on the late frontier of Gippsland, in farm labour and frontier Timber getting. Inside two years he was married to Martha Johanna Koenig, at Berwick, West Gippsland in 1876. Martha was an Australian born girl of Prussian-religious refugee parentage, both her mother and father had came with their families from Silesia in 1849. The Wittholz's settled in the Latrobe valley of Gippsland, living first towards the Australian Alps at Upper Maffra, and then in the fertile valley at Driffield, and Hazelwood. They had three Australian sons and two daughters, the youngest born in 1887 never knew her father for he died on 28 May 1887 at Morwell and is buried in Hazelwood Cemetery. His widow, Marthe, married a year later, to Welsh-born settler Jenkin Hopkins, who brought up the Wittholz children as his own along with the two Hopkins girls who were born to the Wittholz-Hopkins family. Friedrich WOHLERS - born Prüssia, married Janet McGregor SCOTT 1889 Vic. Carl Friedrich WOHLFARD-EGGERS - from Saxony, married Miriam Richard JAMES 1891 Vic. Maximilian Ferdinand Alvin Ritter VON WOLFF, labourer, died at age 36 on the 13th February 1909 at his residence at Daly River, Northern Territory. Franz Heinrich louis WOLLMER - from Hamburg, married Rosina Maude KNEEBONE 1898 Vic. This is from Otto Anton Waschatz's piece, where could I find the photo? "If you look closely at the stark unsympathetic mug-shot of him above you will see the pin slot and two holes in the top left hand background where it was needled onto the papers in O. A. Waschatz's official Enemy Alien and Suspect MP16 file."